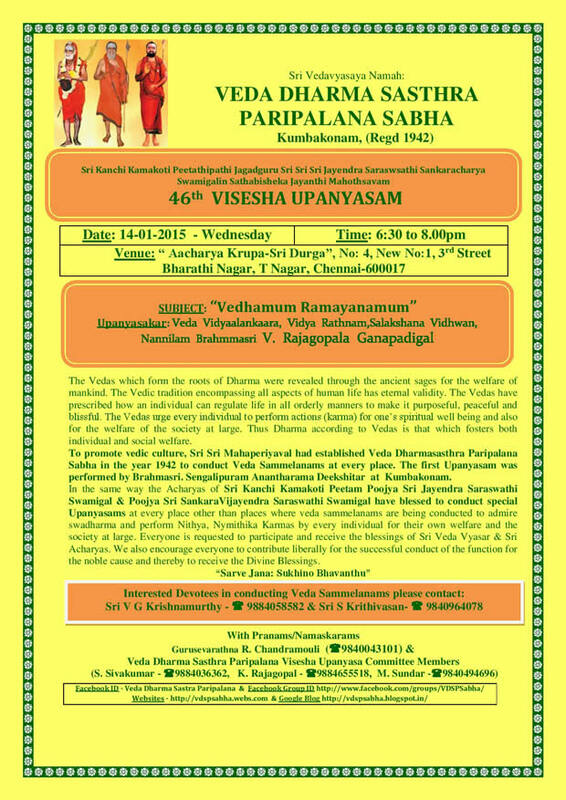 With the Blessings of Their Holinesses Pujyashri Jayendra Saraswathi Shankaracharya Swamiji and Pujyashri Shankara Vijayendra Saraswathi Shankaracharya Swamiji, Visesha Upanyasams will be conducted by Veda Dharma Shastra Paripalana Sabha on 1, 3 & 4 January 2015 in Chennai. 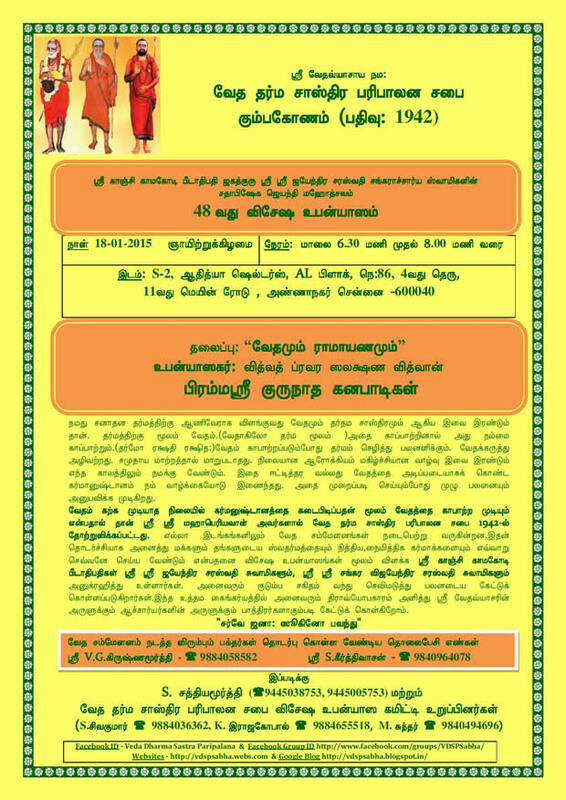 Residence of Gurusevarathna Mr. R. Chandramouli , “ Aacharya Krupa-Sri Durga”, No: 4, New No:1, 3rd Street, Bharathi Nagar, T Nagar, Chennai-600017 . Residence of Gurusevarathna Mr.J. 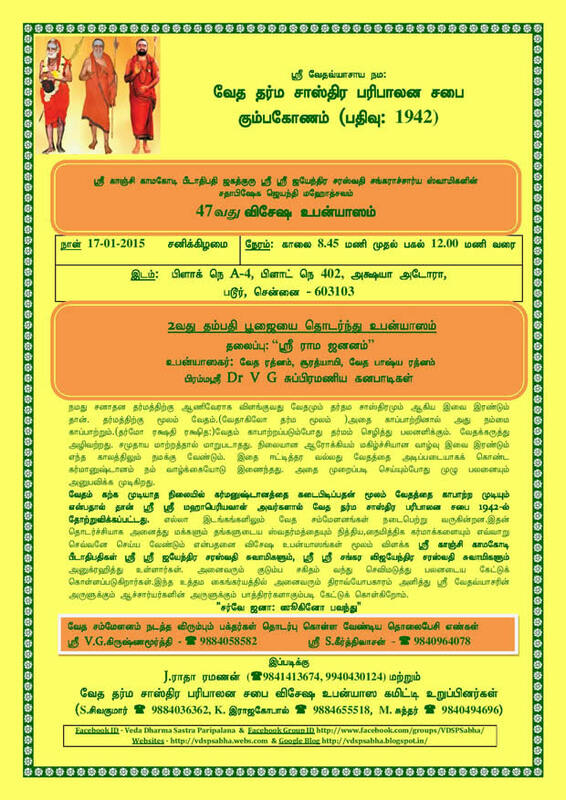 Radha Ramanan,Block No:A-4, Flat No:402, Akshaya Adora, Padur, Chennai-603103. 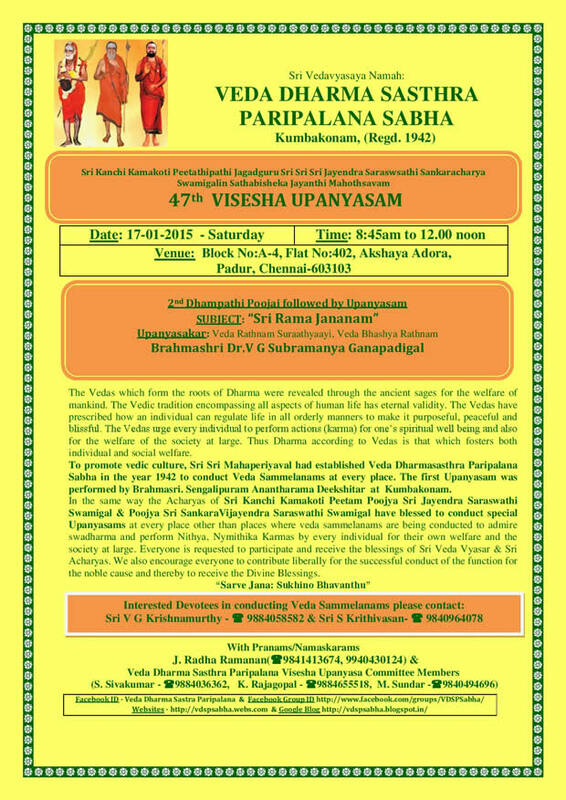 Residence of Gurusevarathna Mr.S. 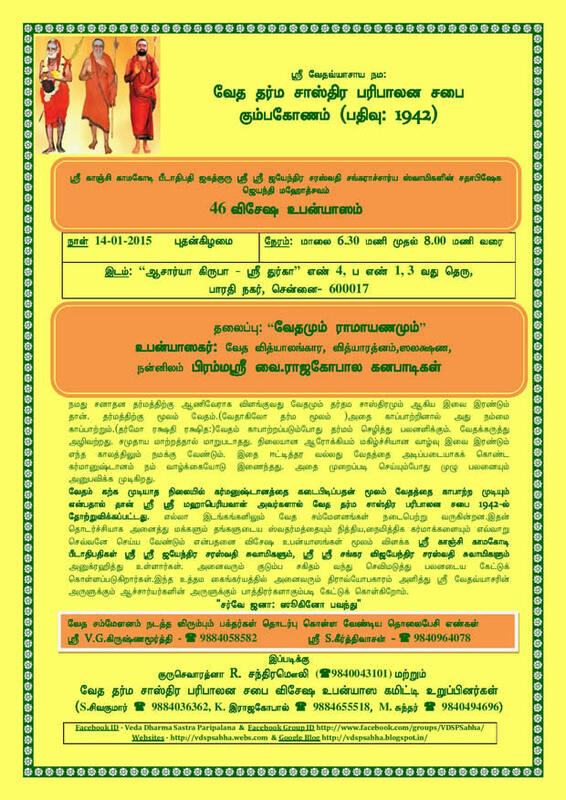 Sathiamurthy, S-2, “Aditya Shelters”, AL Block, No:86, 4th Street, 11th Main Road, Annanagar, Chennai-600040.